Come welcome in the new year with KBC! 2018 has truly been an extraordinary year for us thanks to our amazing community! Dinner reservations strongly recommended. We will have several dinner specials to make you remember 2018. Come have fun before you head into town for the mushroom raising! 10pm-2am Paul Wilkinson and the Sound of a Thousand Bears! No cover charge. We will have a complimentary champagne toast at midnight, and will be cutting rugs all night long. bring your dancing shoes, we will have all the usual obnoxious NYE junk! 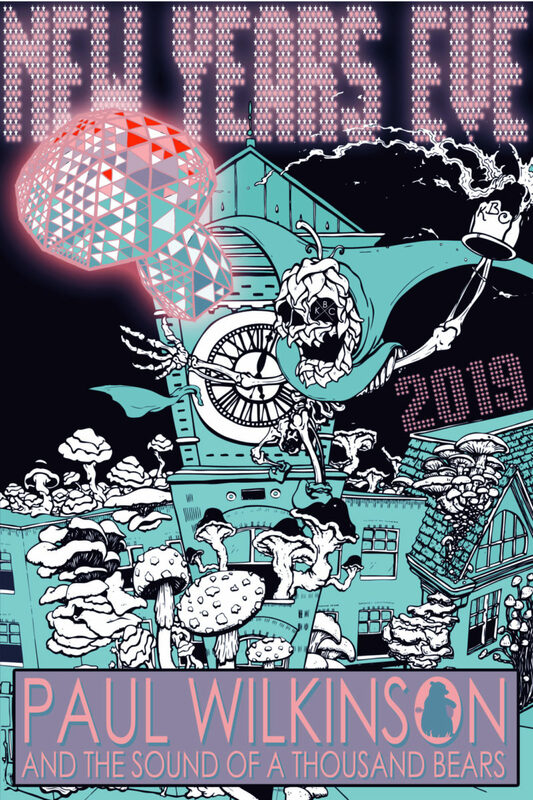 We invite everyone to come toast some champagne after the big shroom drops and cheers to getting after it in 2018!